I can believe that this is my first DIY post on my blog, so excited, this is very easy !! check ! First you need to cut the sleeves , i also cut the fur collar . Then use needle and thread or a sewing machine to put your fabric! And here you go !!! 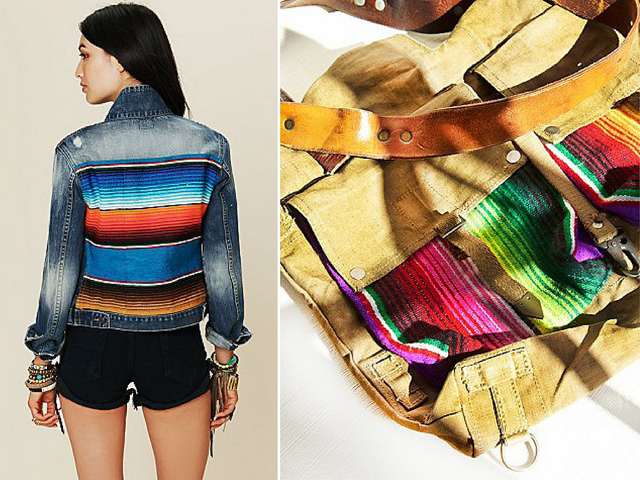 The result is a beautiful vest inspired in mexican sarape, can`t wait to wear it!! Have fun with this DIY, If you like my first DIY post, make sure to 'like' it on bloglovin'!